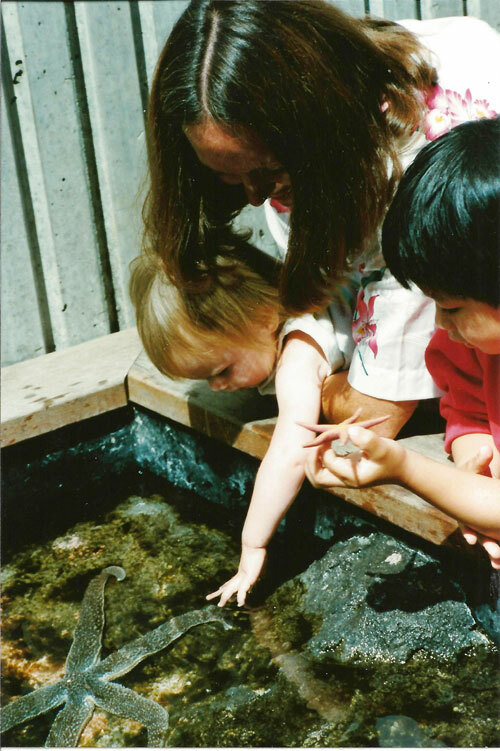 When I was nine years old, my mother started working at the Cabrillo Marine Aquarium in my hometown of San Pedro, California. I took classes and volunteered everywhere I could from giving tours, to helping in the gift shop, to feeding the fish. I have been hooked ever since to Marine Science. At the age of 17, I was hired as an Education Assistant and my passion for teaching and outreach quickly developed. In the past few years, one of my favorite duties was to open the Exploration Center for the day. I put macro-organisms under the microscopes, arranged the costumes and puppets perfectly for the first child to play with, and I towed for plankton to display on a TV monitor attached to a microscope. As the public began to enter, some find themselves drawn to the dark phase projection of plankton on the screen in front of them. “Is that outer space?”, they ask. “No”, I reply. “It’s plankton from the ocean. Microscopic ‘plants’ and animals that make up the bottom of the food chain.” They look in awe at the screen for several minutes and call their friends and family over. I always have a big smile on my face knowing I share this amazement every time I look at phytoplankton. 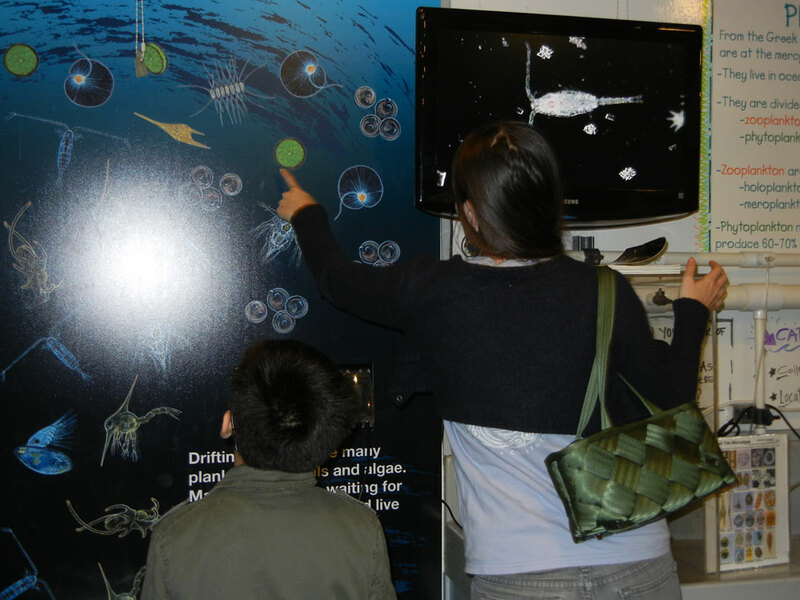 It was through the Cabrillo Marine Aquarium that I became involved in a citizen science program called HABWatch funded by SCCOOS and COSEE West. I towed for phytoplankton twice a week and calculated species abundance as part of an early warning system for Harmful Algal Blooms. This renewed interest in phytoplankton encouraged me to finish my undergraduate education at the Evergreen State College and led me to graduate school at the University of Texas at Austin Marine Science Institute (UTMSI). I have over ten years of work experience in and a passion for interpreting current scientific research to a broader audience. I want to provide the public, especially youth, the knowledge that inspired my interest in marine science. My research and involvement at UTMSI will help me successfully accomplish these objectives.